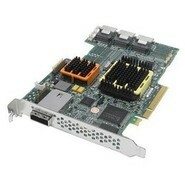 IBM - 44E8689 IBM - SERVERRAID BR10I 8PORT PCI-E SAS/SATA RAID CONTROLLER (44E8689). NEW BULK. IN STOCK. SHIP SAME DAY. IBM - 44E8690 IBM - SERVER RAID BR10I 8PORT PCI - E SAS / SATA RAID CONTROLLER (44E8690). REFURBISHED. IN STOCK. SHIP SAME DAY. IBM - 44E8688 IBM - SERVERRAID BR10I 8PORT PCI-E SAS/SATA RAID CONTROLLER (44E8688). REFURBISHED. IN STOCK. SHIP SAME DAY. 3 Ware - 9550SXU-4LP 3WARE - SATA 4 INTERNAL PORTS RAID 0/1/5/10 JBOD PCI-X. NEW BULK. IN STOCK. SHIP SAME DAY. 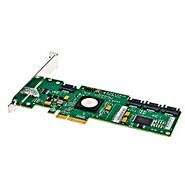 Intel - SASWT4I INTEL - 4CHANNEL PCI-EXPRESS 4X SAS SATA 0/1/1E/10E RAID CONTROLLER (SASWT4I). NEW BULK. IN STOCK. SHIP SAME DAY. Intel - SASUC8I INTEL - 8PORT PCI-E X8 SAS SATA 0/1/1E/10E RAID CONTROLLER (SASUC8I). NEW BULK. IN STOCK. SHIP SAME DAY. IBM - 43W4296 IBM - SERVERAID-MR10I PCI-E X8 SAS/SATA RAID CONTROLLER (43W4296). NEW BULK. IN STOCK. SHIP SAME DAY. Adaptec - 2251900-R ADAPTEC - RAID 3405 - STORAGE CONTROLLER (RAID) - 4 CHANNEL - SATA-300 / SAS LOW PROFILE - 300 MBPS - RAID 0 1 5 6 10 50 1E 5EE 60 - PCI EXPRESS X4. NO CABLE (2251900-R). NEW BULK. IN STOCK. SHIP SAME DAY. 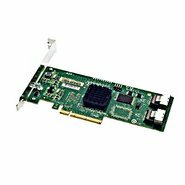 Adaptec - 2258600-R ADAPTEC - RAID 51645 - STORAGE CONTROLLER (RAID) - 20 CHANNEL - SATA-300 / SAS - 300 MBPS - RAID 0 1 5 6 10 50 JBOD 1E 5EE 60 - PCI EXPRESS X8. NO CABLE (2258600-R). NEW BULK. IN STOCK. SHIP SAME DAY.